Wood and timber products used in the interior of a building are usually selected for their visual characteristics and so it is critical that these characteristics are maintained throughout the design life of the element. This requires correct specification of timber grade, resistance to indentation and abrasion, and durability and resistance to bio-deterioration. 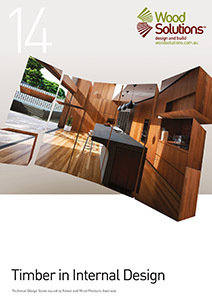 More detailed information on interior timber finishees is available here.